← How to add multiple Watermarks & Stamps to generated PDF file using DOC to Any Converter Command Line software? How to use "-watermarkfile" option? (1) I set an expiry based on # of view. It shows it processed successfully, but when I want to open it is asking me the password. I did not set the password in first place. Why would it ask for password? At the end, I could not check the feature. (2) I successfully added in another test. It seems it does accept the password. (3) Large file (=20 MB) does not go through at all. Finally, how much will you charge for the software? >>(1) I set an expiry based on # of view. It shows it processed successfully, but when I want to open it is asking me the password. I did not set the password in first place. Why would it ask for password? At the end, I could not check the feature. after you download and unzip it to a folder, please run "VeryPDF-Reader.exe" application to view the DRM protected PDF file. >>(2) I successfully added in another test. It seems it does accept the password. >>(3) Large file (=20 MB) does not go through at all. "VeryPDF Cloud PDF DRM Protector" is no maximum number of PDF file size limited, you can use it to encrypt any size of PDF files. If you can't get it work, please upload your big PDF file to a web disk, send to us the download URL, we will download your big PDF file and work on it asap. 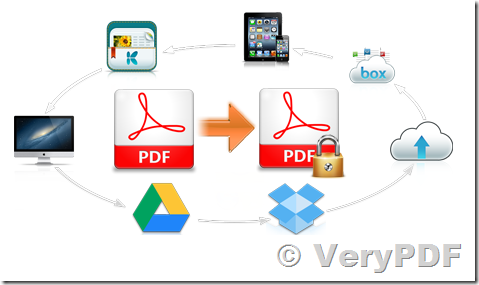 Yes, "VeryPDF Cloud PDF DRM Protector" software has all functions that you required. >>Finally, how much will you charge for the software? after you subscribe it, please send to us your Transaction ID, we will setup your account on our server side and send the detailed instructions back to you asap. This entry was posted in PDF Security, VeryPDF Cloud API, VeryPDF SDK & COM and tagged drm pdf, drm security, lock PDF, pdf security. Bookmark the permalink.